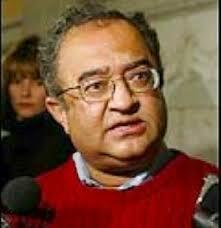 Tarek Fatah, a Canadian Marxist – Muslim of Pakistani origin, examines the reckless alliance of the Left – Liberal – Progressive community with Muslim extremists, and the abandonment of secularism. Lenin, he explains, understood the threat and urged caution, a caution clearly unheeded with now devastating consequences. The Left in the Islamic world is powerless; thousands have already been executed in Iran without protest . Those who should be at the forefront of the resistance in the West, those still able, still free to act, to speak are carrying water for tyrannical ideology that is already acting to silence them. Readers may recall an earlier post here at Adara Press, “The Left’s Betrayal of the Left in the Muslim World”, warning readers, those in the Progressive, activist community of global scope of this deadly repression they are helping to engender, that is now coming to pass with the ruthless execution of the Charlie Hebdo cartoonists — an execution that took place, not in Saudi Arabia, not in Pakistan or Iran, but France. …The burgeoning coffers of Qatar and Saudi Arabia among others, aided by the White House, are financing the conscription of armies of unwitting foot soldiers, transnational executioners of global political repression, fanatically subscribing to an authoritarian, sadistic, stateless doctrine, that mandates absolute and unquestioning obedience and the relinquishment of all civil liberties. Activists and scholars in the States, Canada and Western Europe continue to turn a deaf ear to the urgent cries of their counterparts in the Muslim world in the face of this onslaught, colluding instead with prominent Muslim representatives almost exclusively tied to the Muslim Brotherhood or Iran, supposing an alliance that is at best a mirage, perpetuating a manufactured narrative of Muslim victimhood, while vilifying those seeking to deconstruct and expose its artifice. Wittingly or otherwise, they are intellectually disarming activists, liberals, progressives and students, actively stifling critical analysis, engaging in stupefying disinformation, silencing not just discussion, but dissent. They have rendered the Left blind, deaf, and dumb—and proud of it. Charlie Hebdo, was not rightwing, was not Christian, was not mainstream. Charlie Hebdo was a Leftist publication. The Left has signed its own Death Warrant, and is ready, it seems, to defend it with its dying breath. Perhaps the question he should be asking is: Has the Left outlived its usefulness? “As the world struggles to understand and cope with the rise of pan-Islamism and international jihadi terrorism within western countries, one thing is becoming increasingly clear. It has paved the way for an anti-immigrant backlash against all non-whites, in which the left are portrayed as apologists for religious fanaticism. An unnecessary rise of xenophobia that could have been avoided, had the left led the struggle against Islamofascism, is now entrenched. Last week I sat down with a few surviving friends on the left from the 1960s, who are fortunately in Canada now. “What is wrong with the left today?” we asked ourselves. Back in 1965, fresh into college, I was first exposed to the phenomenon of pan-Islamism when India and Pakistan went to war. Millions marched chanting, “Allah O Akbar”, “Death to Hindus”, “Islam Zindabad” (Long live Islam) as we followed the mobs burning American and Indian flags and, for some reason that escapes me now, attacking the local offices of KLM. In the following weeks I would meet the first influential leftists in my life. They were senior students at my college who distributed leaflets saying “beware of religious fanaticism” and, “We want peace, not war”. I was flabbergasted at the thought a Muslim would not want to wage jihad against Islam’s enemies and engaged in a heated debate with a med student. What followed was weeks of missed classes, late-night debates under dim streetlights and the opening of a new world to me ­— that of politics. Religion was not the answer, science and reason were, these senior students convinced me. I read Bertrand Russell’s Why I am Not a Christian, Maxim Gorky’s The Mother and John Reed’s Ten Days that Shook the World. I read Lenin, including one of his first works, Draft Theses on National and Colonial Questions, which he had presented to the second Congress of the Communist International — the Comintern. Leftists who today excuse, defend, and even support the Islamists should pay attention. I detest what communism ended up doing, but Lenin’s wisdom on this point left an imprint on this Muslim’s mind forever. Tags: Islam, Left, Lenin, Tarek Fatah. Bookmark the permalink.